Two Douglas County school districts could add one school resource officer each. 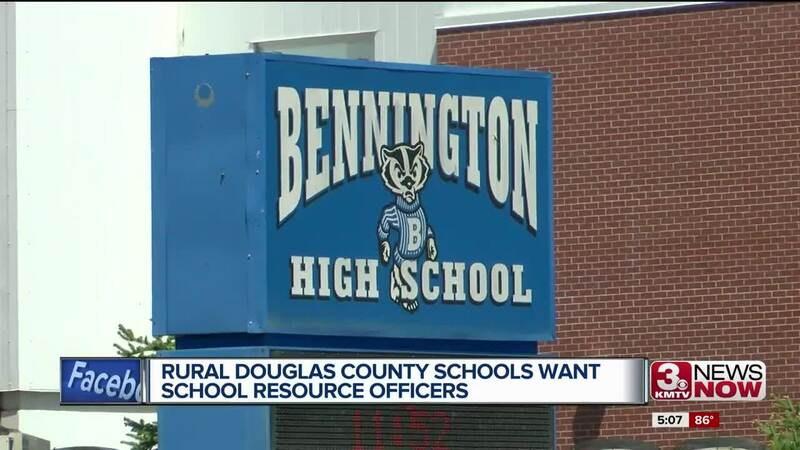 The Douglas County Sheriff's Department is asking the Douglas County Board for $150,000 next year to hire two new school resource officers. This will be a cost-sharing measure between the county and the department. The schools would pay half that cost. Bennington Superintendent Terry Haack said the officers are needed to add a layer of security in this day and age, "Crime has no single victim, it has a community and it is a situation where Bennington is growing, Bennington as a school board as a community felt that the need, it was time to get a school resource officer". This proposal has the support of Douglas County Board President Mary Ann Borgeson, "It makes me sad that you have to lend your support for something like this unfortunately in this day and age you have to." The SROs would also teach classes at the schools such as D.A.R.E. and other subjects. Captain Wayne Hudson with the Douglas County Sheriff's Office said the SROs act as a liason between the districts and law enforcement, "Break down barriers that often exist between the youth and law enforcement." By adding these SROs the hope is to reduce crime and hopefully steer kids down the right path, even in these rural school districts. "if we can help them in the begining rather than waiting until they come through our doors we may be able to prevent them from coming through our doors," said Borgeson. According to Haack, the SRO would not be stationary, they would travel to and from the different schools. Borgeson said the Board will put this request into their budget which should be finalized by the end of June.